Hello and welcome to exampundit . 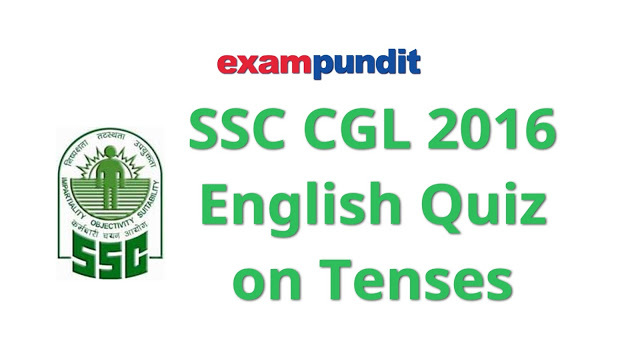 Here is a set of English Quiz which is based on Tenses for upcoming SSC CGL 2016. 1.Sorry, you cannot borrow my pen . I _______ it myself. 2. I ___________ English for seven years now. 3. Please be quiet! The child… …..
4. For dinner last night we …….. cheese and fruits. 5. He often … to the theatre because he loves plays. …….… in a fire last night. 7. She’s shocked because she … a terrible accident. bath and hadn’t noticed what time it was. 15. What time ________ supper?